Dietary folate is a complex and variable mixture of folate compounds. 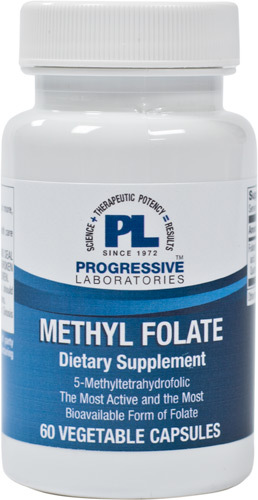 Methyl Folate is the most biologically active form and the molecule to which folic acid must be converted in order to be utilized by the body. Enzyme defects, malabsorption syndrome, digestive problems, liver disease and aging may interfere with the body's ability to convert folic acid to its active form. rice flour, hydroxypropyl methylcellulose (vegetable capsule).